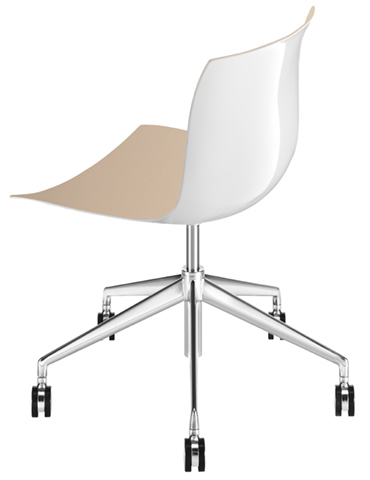 Chair with five way swivel base in polished aluminum, swivel base, mounted on self-braking castors and fitted with gas-lift mechanism for height adjustment. 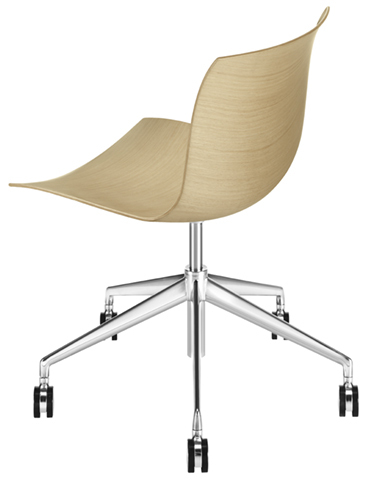 The shell is available in single-color and bi-color polypropylene (ColorBi®), standard or inverted; polypropylene with front-face upholstery in leather, faux leather, fabric or customer’s fabric; upholstered in two grades of hard leather; fully upholstered in leather, faux leather, fabric or customer’s fabric; wood, in three color finishes (natural oak, bleached oak, wengé) or double-curved wood in three finishes with front-face upholstery in leather, faux leather, fabric or customer’s fabric. 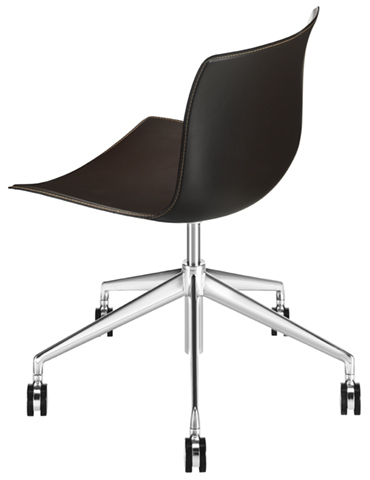 Optional steel armrests, also with polypropylene or upholstered support, are available upon request. Made for both residential and contract use, indoors and out, the Catifa 53 shell and base are fabricated in a diverse range of materials, colors and finishes. The shell is constructed in double-curved plywood, mono- or patented bi-color polypropylene (an exclusive process pioneered by Arper, available in wide color variation in Catifa 53), covered in leather, faux-leather, fabric or finished with upholstered pads. The base comes in chrome-finish steel, satin-finish stainless steel, aluminum, powder-coated aluminum or wood and is available in the following base configurations: sled, four-legs in tube or wood, cantilevered, aluminum trestle and five-ways. The sled and four-leg bases are stackable to allow for large-scale use and storage. 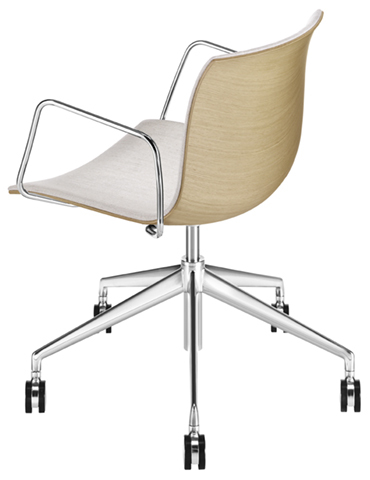 Catifa 53 is also available as a bench and in a lounge version. 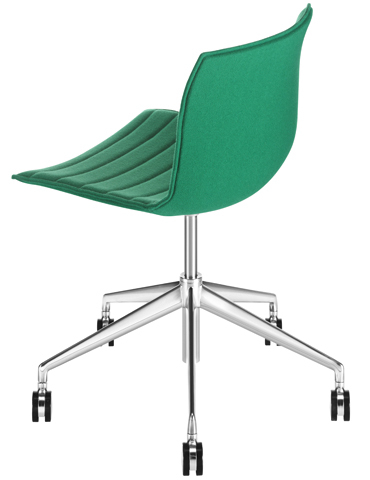 The Catifa 53 Collection is GreenGuard certified.